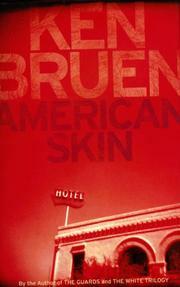 Bruen, poster boy for Irish noir (Calibre, 2006, etc. ), exports his product to the U.S. and colors it even darker. When does a bad guy cross the line from villain to monster? This time around, Bruen presents three Iagos, two males and a distaff version. If there’s a saving grace among them, it’s buried beyond redemption. Here’s Sherry’s mom on her Messalina-like daughter: “You walk into a room, you feel the cold, you know she has been here.” About John A. Stapleton, unreconstructed IRA terrorist, it is said, “Stapleton gets in your life, he’s all over it, like a virus.” As for Dade, their sibling under the skin, he’s first presented in the act of wiping out an essentially blameless family—husband, wife, two kids, ages ten and four, simply because he can. The foil to this horrifying trio is Stephen Blake, a quintessential Bruen protagonist: a smart, tough, sensitive boozer who’s honed self-loathing to an art through the years. He’s reluctantly become the principal in a major theft. With his luckless lover, Siobhan, he makes plans for the money, a new beginning in the New World. But Bruen’s fans will know that monsters lie in wait. There are the usual rewards in terms of style, pace and, yes, flashes of mordant wit, but be warned: This is Bruen beyond noir into full-out stygian.